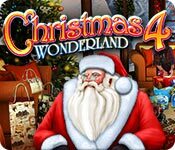 Christmas Wonderland 4 is rated 4.0 out of 5 by 32. 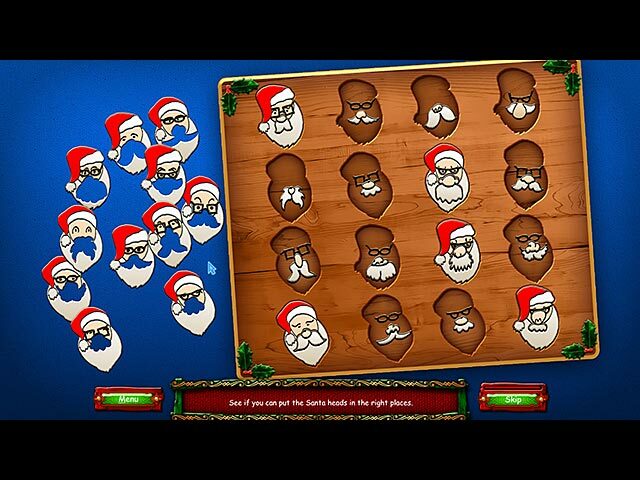 Rated 5 out of 5 by tutortime from Excellent Holiday game. Really enjoy this series. Music and graphics are excellent. Rated 5 out of 5 by Kimmycoo from I LOVE these! I own this whole series and have loved every one of them every year they have come out. I hope a part 6 comes out this year of 2016. I buy them immediately, I do not need to know what they look like or how they play because I know their reputation . I have never been disappointed. The graphics on this game, the music and the game play are all superior. I love all of these! 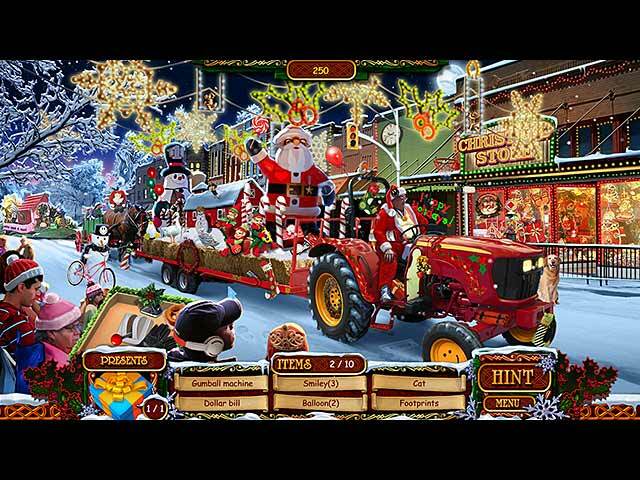 Rated 5 out of 5 by Sarge2u from Christmas Fun Game This is my third or maybe fourth series of the Christmas Wonderland. It is a fun game to play. I didn't read the reviews prior to buying this games since I loved the other ones I purchased.The nativity items were particularly hard to find as they were very small and there was no indication how many were included in each scene until you finished the scene and found out you had missed one. I replayed the very last scene several times and is still unable to find the 9th nativity item. As for the bat it is in the tree, it actually don't look like a bat, but it is hanging upside down on the branch over the car. Rated 5 out of 5 by Hrdwlby from Very Enjoyable Holiday Game I have played all the games in this series, but this is the best one! One of my favorite parts of this game are the secondary hidden object puzzles in each scene, especially finding the Nativity Objects. I also liked that you could replay the various scenes if you were not able to find all of the objects, including the Nativity objects the first time around. The game awards you extra points if you don't have to use hints. I played the game twice during the holidays using different player names. I improved my score the second time which is to be expected. Rated 5 out of 5 by heleneshaw from Best one yet! I love all the Wonderland Games but this is by far my favourite one yet! I love the secret presents and Nativity scene objects... and the "eagle eye" bonus makes you want to get them all! The puzzle games are more fun in this one too! Rated 5 out of 5 by soul4ever from It is a great relaxing HO game. Can you say HO HO HO? and it stands for Hidden Objects Galore! and well, it is a Christmas theme game after all! This game is well made. The graphics are excellent. Objects look real, not a problem for me to find them and I have a small monitor on this laptop of mine. The music is lite fun relaxing kinda combo Xmas tunes. I enjoyed it. It is definitely not an adventure game, so if you're looking for some heavy duty game like return to ravenhearst and such, this is not the kind of game you will find here. The puzzles are way too easy, probably aimed at very young kids level. This is pure HO game and as such guarantees hours of fun hunting for those sneaky objects. The devs put an effort to make sure every detail is made great. For instance, the extra gift list, which shows only the shadow of the object, once you find it, it will show you how it looked as a shadow. there are different sounds for regular items and collectible items. The locations are well drawn, and there's a bit of animation of items in the scene. Little details that add to the beauty of this game. I do not compare this game to other games in this genre, by itself it is a great relaxing game, I purchased it and enjoy playing it. Rated 5 out of 5 by ntexas99 from Best Christmas HO Game for the Holidays When I was a little girl, one of the things I looked forward to for the holidays was receiving that big, fat Christmas coloring book (and a new box of crayons). You know the one I'm talking about - it had wonderful holiday pictures, and every sort of puzzle, and even some word games and my favorite, the 1=red, 2=blue, 3=green and you fill in the picture. That's what Christmas Wonderland 4 is like. It's chock-full of Hidden Object games, for sure, but it also has all sorts of mini-games that are fun to play (jigsaw puzzles, fill in the dots, mazes, number games, matching pairs). Plus, there is a "mini" mini-game running throughout the whole game, in that you search for nativity figures in every puzzle, AND you get to look for specific items that are only identified by their shape. In other words, you get a little bit of everything, and nothing is impossible, because you can always use the Hint Button if you choose. Love this game, and it's perfect holiday entertainment for the whole family. Challenging enough to be fun, but easy enough to be relaxed. Complete with fun and uplifting holiday music throughout the various HO games. Great buy!